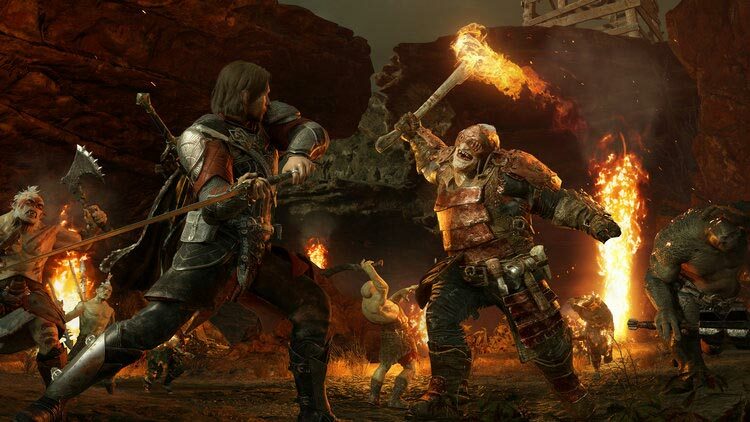 Middle Earth: Shadow Of War has an insane download size on PC, and it's giving some players pause as to whether or not it's worth it to have on their machines. As of writing, the current download size for the game puts the download size at 97.9GBs, which is almost obscene. Conversely, the PS4 Pro download of the game is only around 64 GBs, so what's the difference? As some have pointed out, it probably has something to do with the 4K cinematics in the PC version, which is certainly going to up the file size for any game. High-quality visuals are bound to come at a high price, and it will be up to many PC players whether or not this game is worth having on their PC. Early reviews for the game put the aggregate average to a solid B in terms of quality, so the game looks to be doing well enough to warrant a purchase. That said, reviews are higher on the console version over the PC version, and one has to expect the file size is a factor for the lower scores. How do you feel about setting aside nearly 100 GBs for this game on PC?